and you are not wrong. 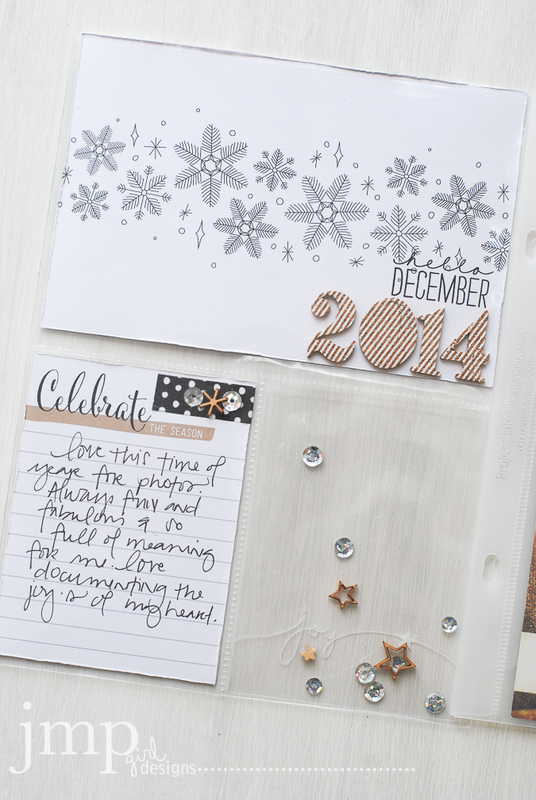 however, today I am showin' off what I did with Stampin' Up's Hello December Project Life Collection. This was such a fun kit to play with. 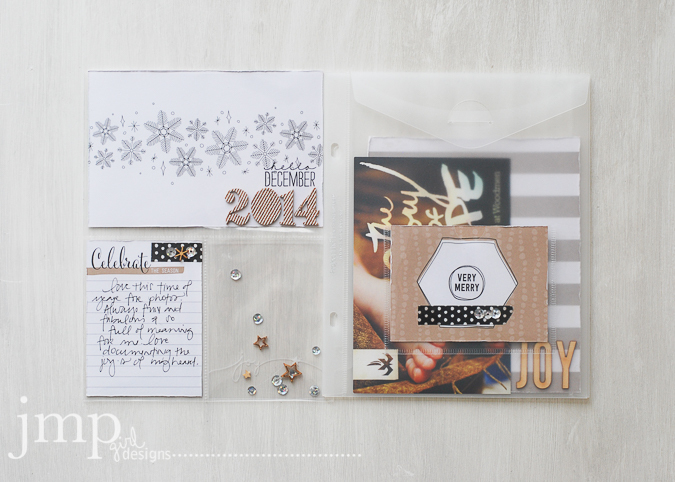 There is a wide assortment of color offering in the Project Life Card Collection. I went with the kraft and black and white. 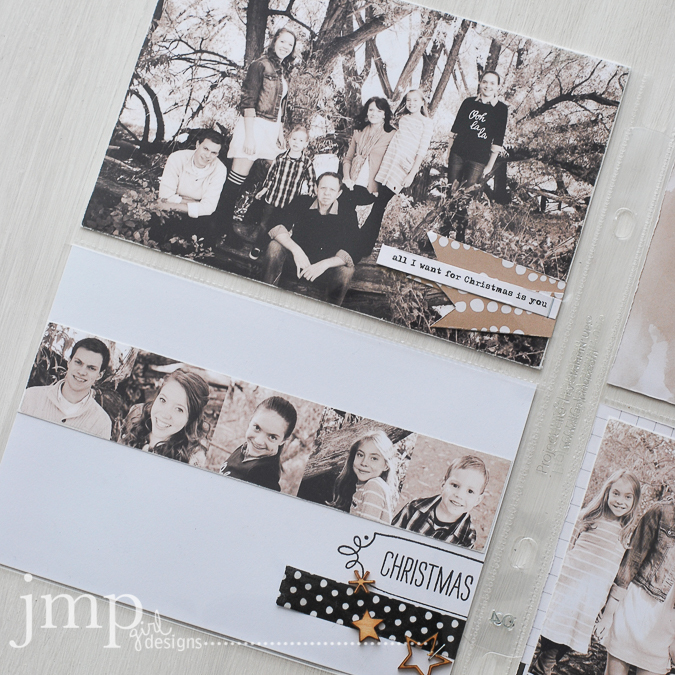 I love how the neutrals played together so well with my family photos for the year. 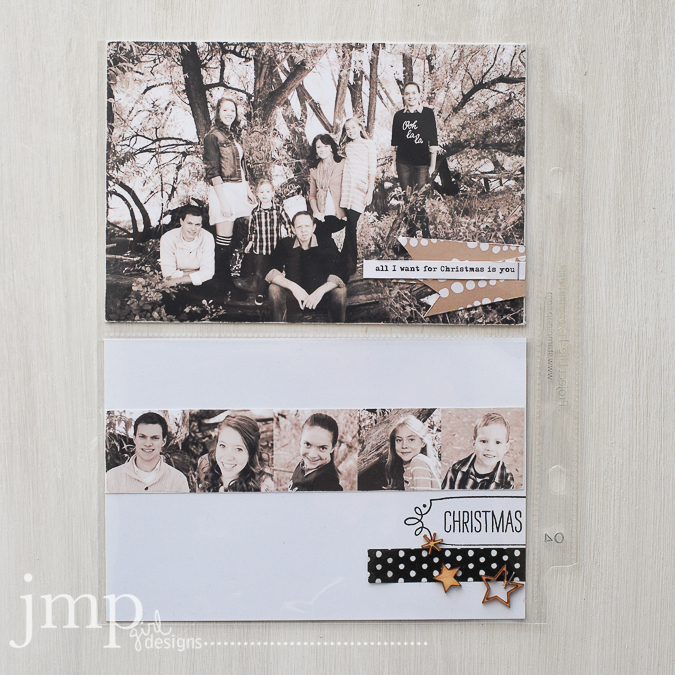 The first double page spread starts with a sort of title page that includes a 6x4 card. 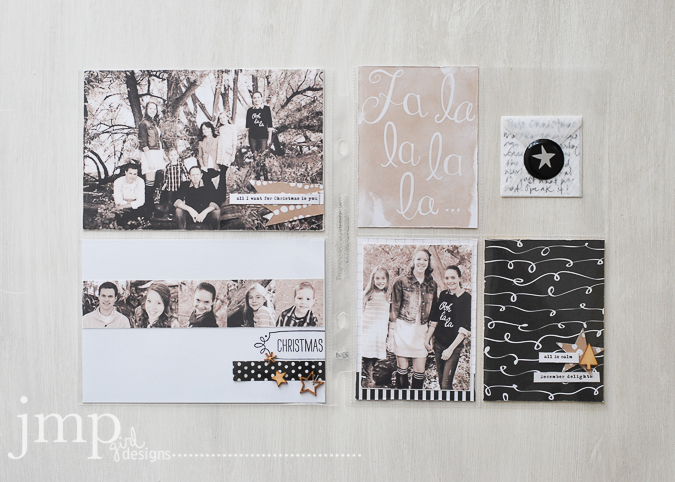 I stamped 'hello December' using a Project Life December Wonder Stamp. 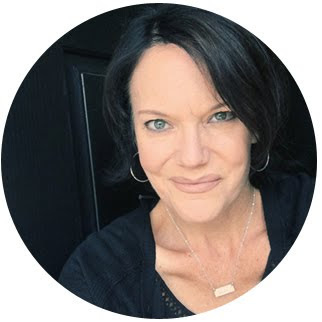 And check those cork striped numbers...um...can we say adorable? 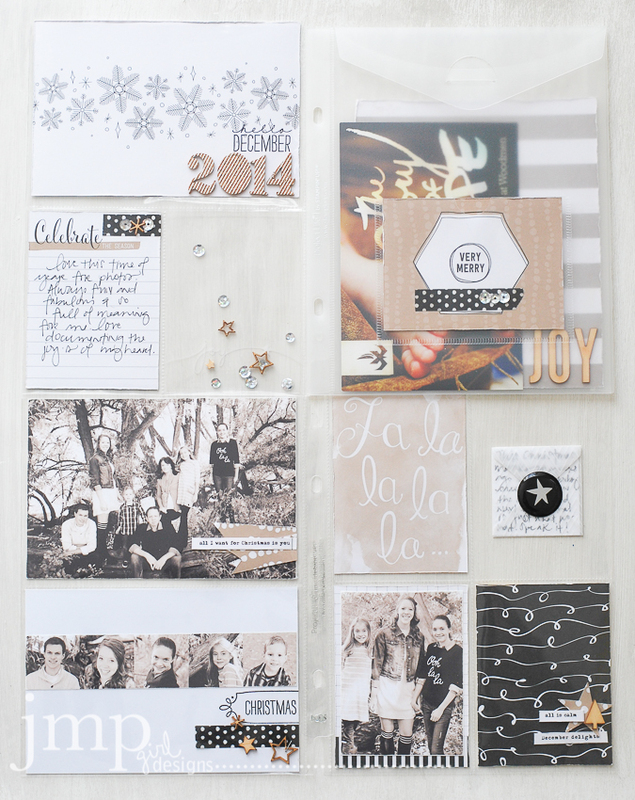 All of a sudden I am a brand new fan of the 6x8 Envelope Pages. I love these for all the ephemera one collects this time of year. Plus a cutie little pocket on the very front that you can actually utilize or just dress it up and make it pretty. It just covers all the bases. 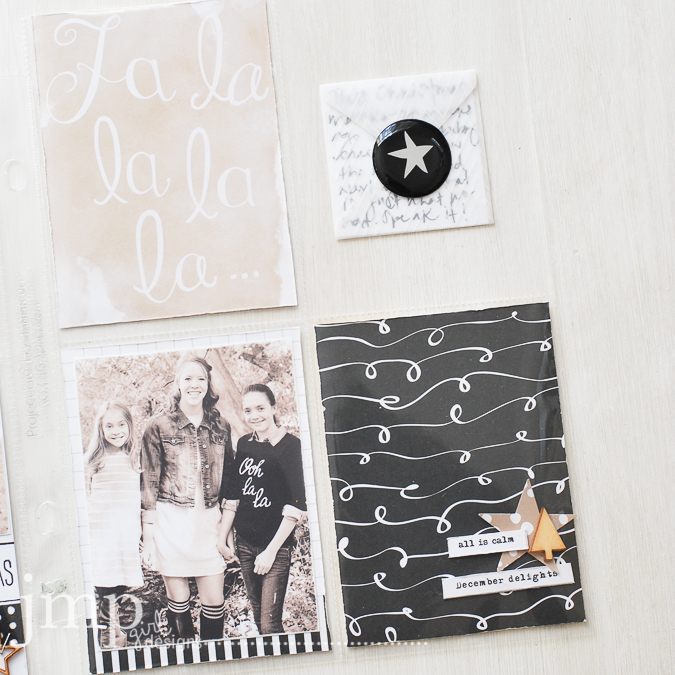 This second double page spread has all my favorite parts...recent photo shoot of my fam! So this just might be my favorite of all the pages...I mean...seriously! How could it not! 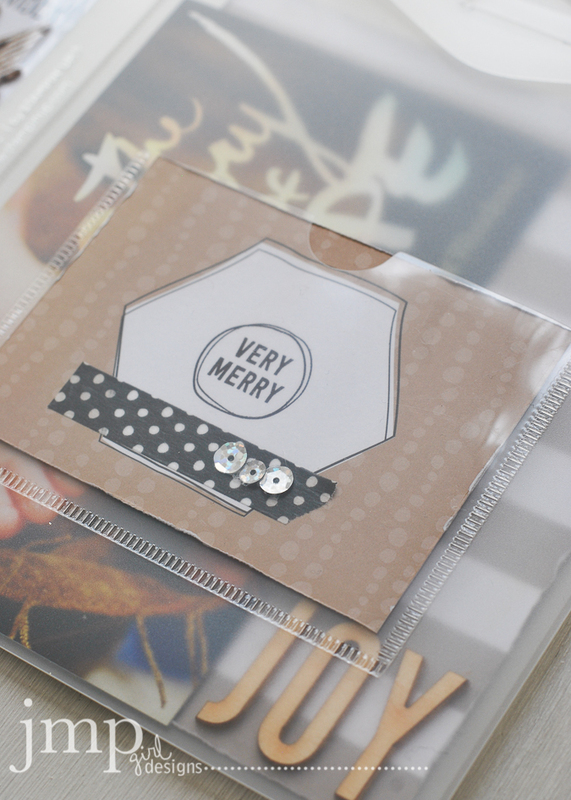 O.k...let's get back to the product show here...so that polka dot washi tape...yep...I could eat it...it is part of the very generous Hello December Project Life Accessory Pack. And all the fun fun wood pieces are part of that pack too. I mean it's just so darn cute. And my favorite 3x4 card HAS to be the 'fa la la la...' card. It just makes me happy. 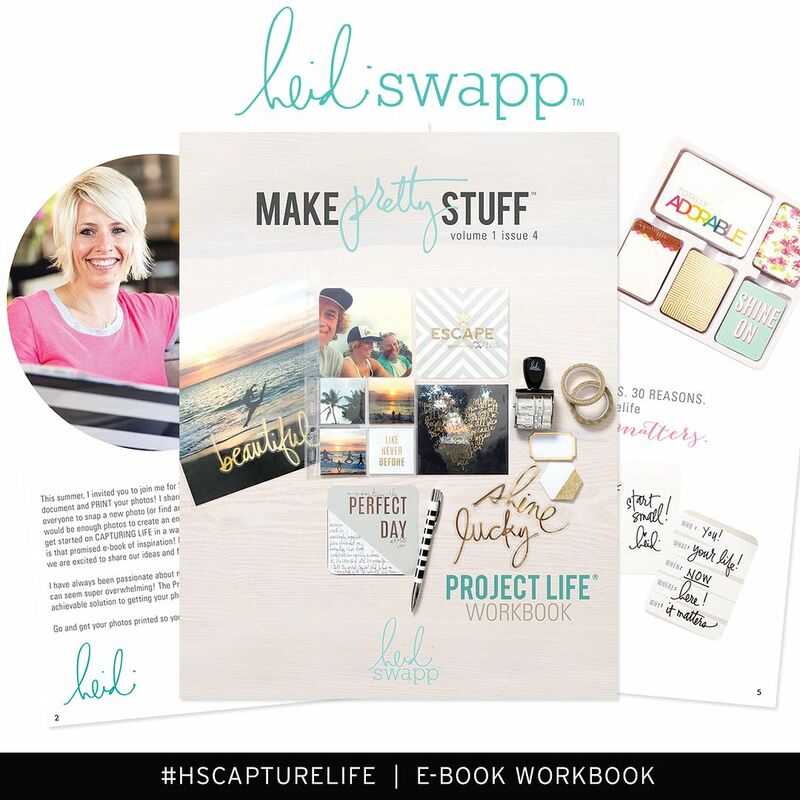 So seriously, this is a really fun and versatile Project Life themed for December and all things festive and Christmasy. Lots of product is included. And I am sure it will make you happy just like it did me. 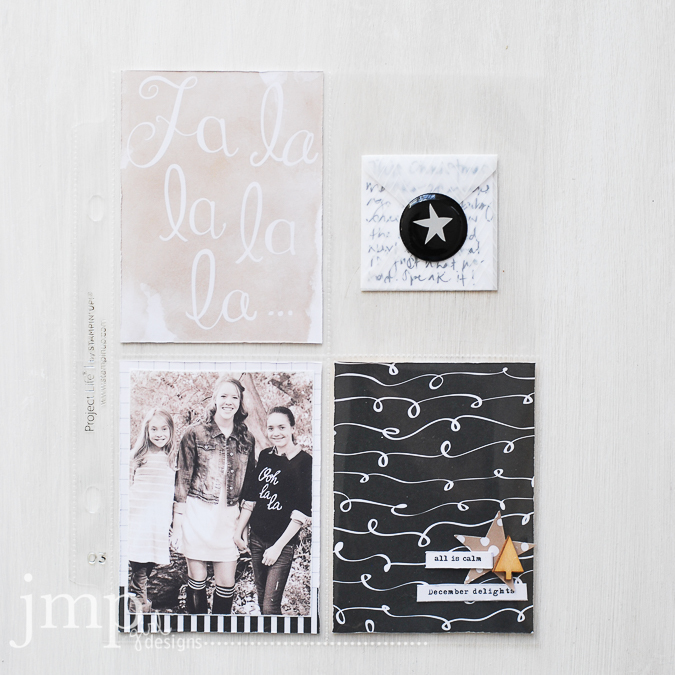 I have to giggle at how different ours are....your pages are just so you Jamie, full of sophistication, subtle colours and gorgeous photos....just beautiful! Truly we go these things differently. I love it. Love the color palet. These are just beautiful! Thank you so much, Sheila. I do too. Thank you so much! I have often wanted to purchase th SU stamps in French just because they are so beautiful. Thank you for visiting.